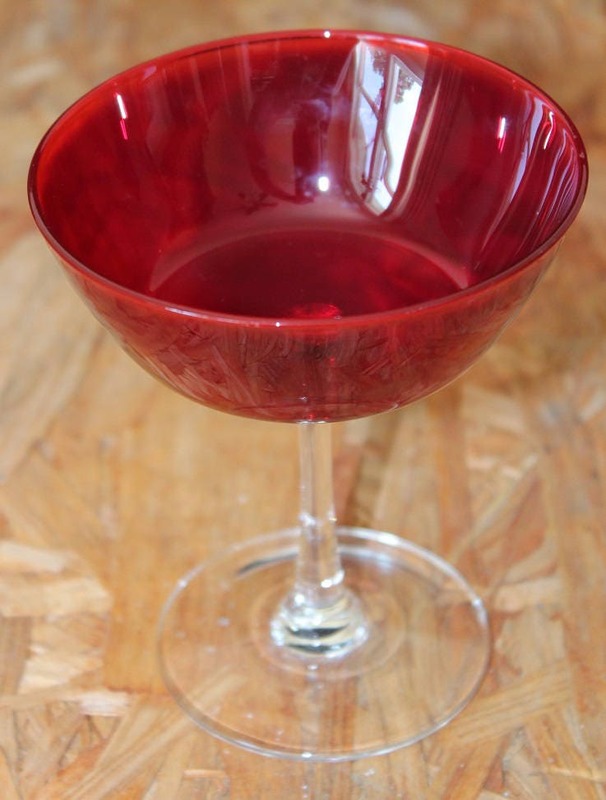 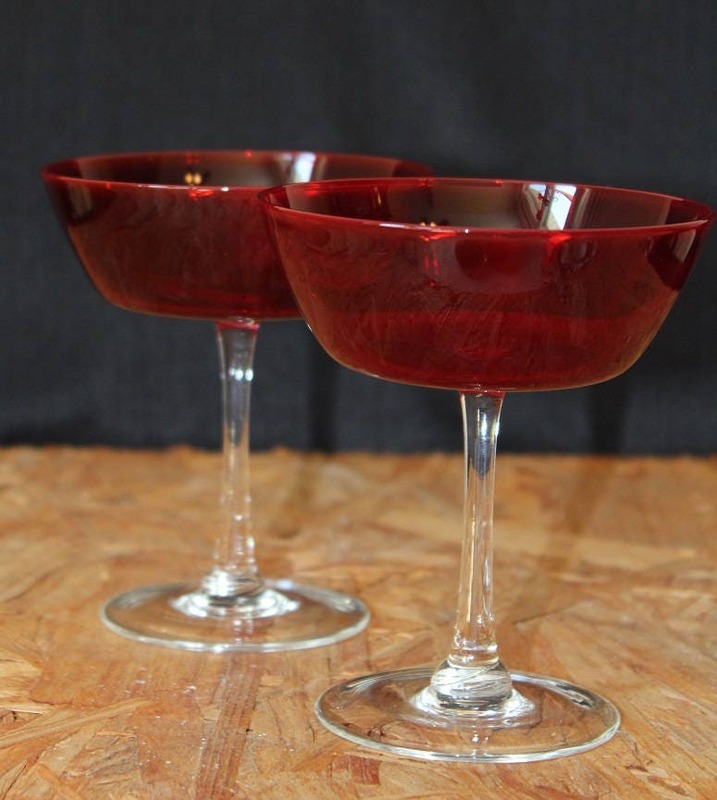 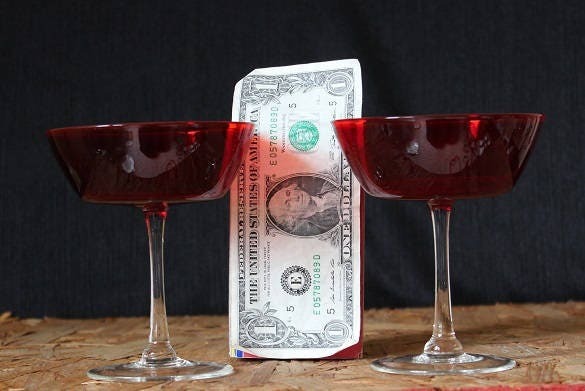 This is a stunning pair of ruby red saucer champagne glasses . 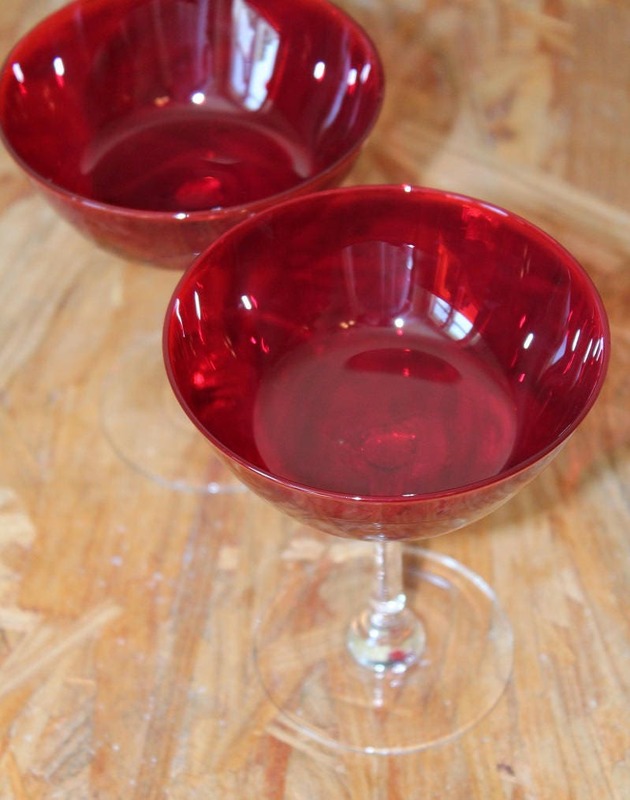 These delicate martini glasses have a long thin clear stem and base. 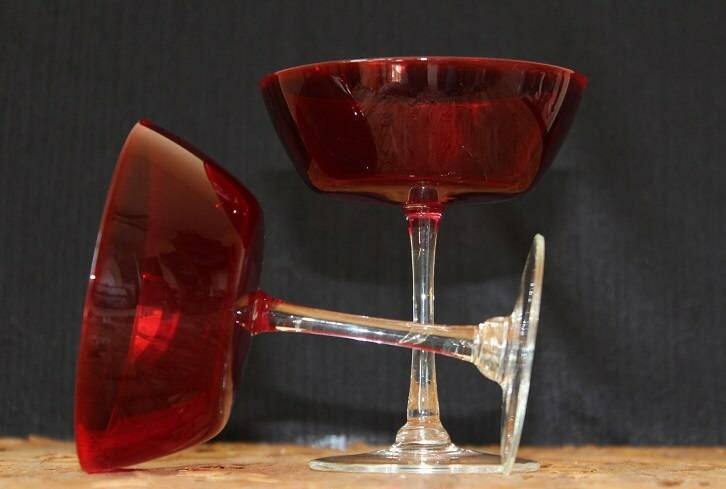 These wine glasses will need to be hand washed. 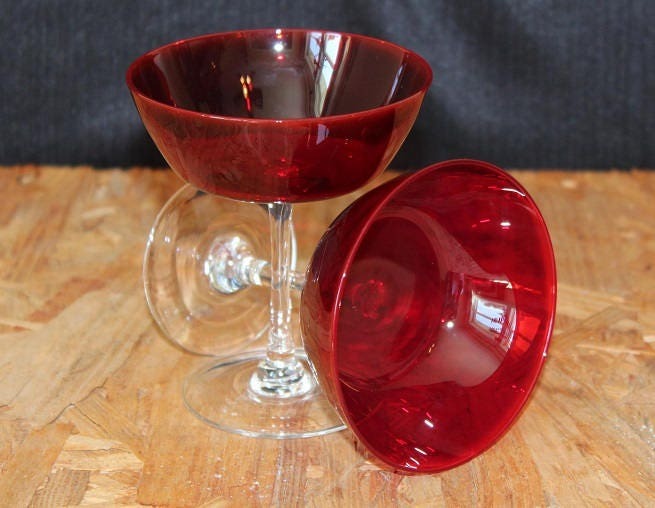 Perfect for that special toast!